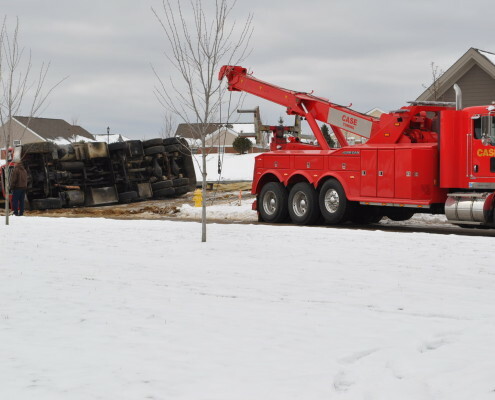 Case Towing proudly provides the Southwest Ohio area with a range of towing and recovery services, including service for cars, commercial vehicles and RVs. We are always quick to respond when we receive a call for service. Our top priority is customer service and we strive for complete satisfaction every time. We always provide low rates and clean trucks. We are locally owned and operated company that is always fast, reliable and friendly. We are fully licensed, certified and insured and have many great references available upon request. We are proud to be the company that is always there for you when you need us. 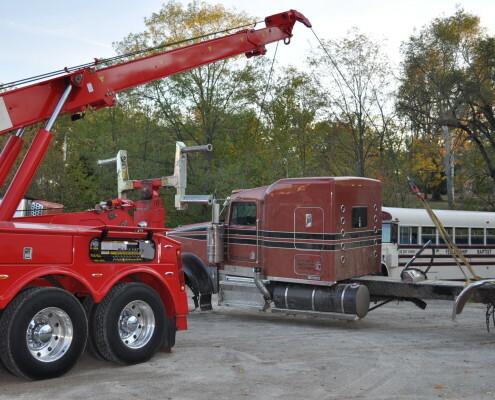 With over 40 years of experience, we have the knowledge, equipment and ability to tow a variety of vehicles. We feature 4WD towing vehicles to ensure we can tow your vehicle out of any situation including an off-road recovery winch box on the front of a Bob Cat. We use a wireless dispatch system for fast response times. 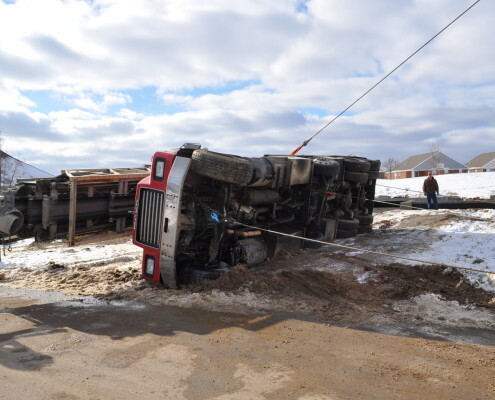 Our certified drivers and heavy duty equipment allows us to recover your vehicle quickly and efficiently. We are conveniently available 24 hours a day and we are ready and waiting for your call. Whether you are local or long distance, we promise our rates will always be low! 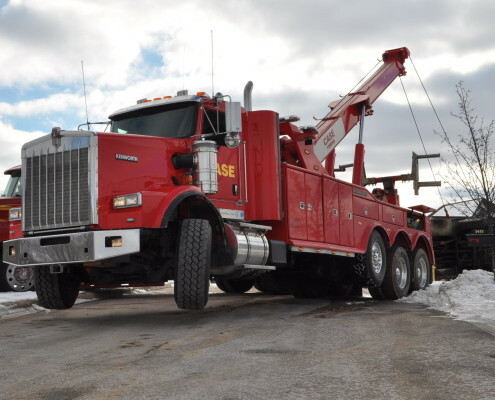 If you are in the Southwest Ohio area, and you are in need of quality towing and recovery services, please feel free to contact us directly. A member of our experienced team will be happy to take your call. Proudly serving Southwest Ohio for over 40 years!